I’ve been spending time with the natives this year. It’s opened up a new way of looking at things, from planting scheme design to the experience of being outdoors. Eradicating invasives has been the practical necessity of restoring our property and bringing our more native-friendly design to life. There’s an entire community of people focused on tackling invasives. And there’s even an App for that. I recently discovered MAEDN, an interesting tool to both identify and report local information on invasive species. As I’ve said before, we definitely have enough to keep us busy the next several years. (Oh, and by the way, that image above is not of a native, but of the invasive Japanese barberry, berberis thunbergii. 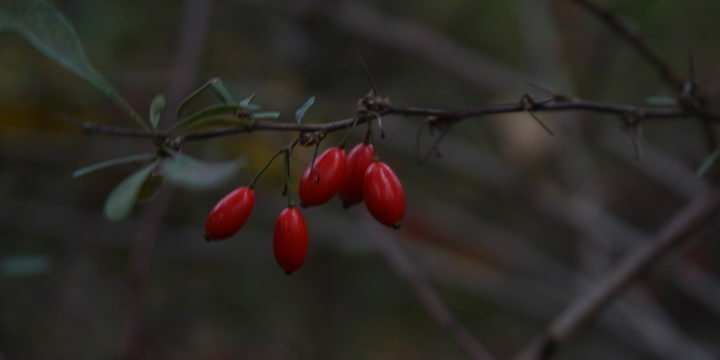 An exotic that was introduced as a landscaping shrub, which can run amuck in the wild — birds love the berries and carry them far and wide. We have a big chunk of our woodlands covered in it).